It’s a pleasure to share the beautiful cover of IN A DARK WOOD / UK edition! 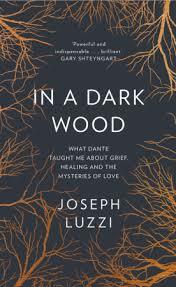 This entry was posted in General and tagged Dante, grief, HarperCollins, HarperCollins UK, healing, Joseph Luzzi, memoir by josephluzzi. Bookmark the permalink.